City of Swan Mayor, Mick Wainwright, State Local Member for Midland, the Hon Michelle Roberts MLA, Vicinity Centres Executive General Manager of Development, Carolyn Viney, Midland Gate Centre Manager Alison Broadbent and City of Swan CEO Mike Foley. CONSTRUCTION is underway for the $100 million Midland Gate shopping centre expansion. Midland MLA Michelle Roberts and City of Swan Mayor Mick Wainwright were among other stakeholders who broke ground on the project today . The expansion, which is expected to be completed in 2019, will allow more than 200 retailers in the centre, including newcomers Aldi, Harris Scarfe and JB Hi-Fi. Vicinity Centres executive general manager of development Carolyn Viney said the new and improved centre would cater to customers from all over Perth’s eastern region. 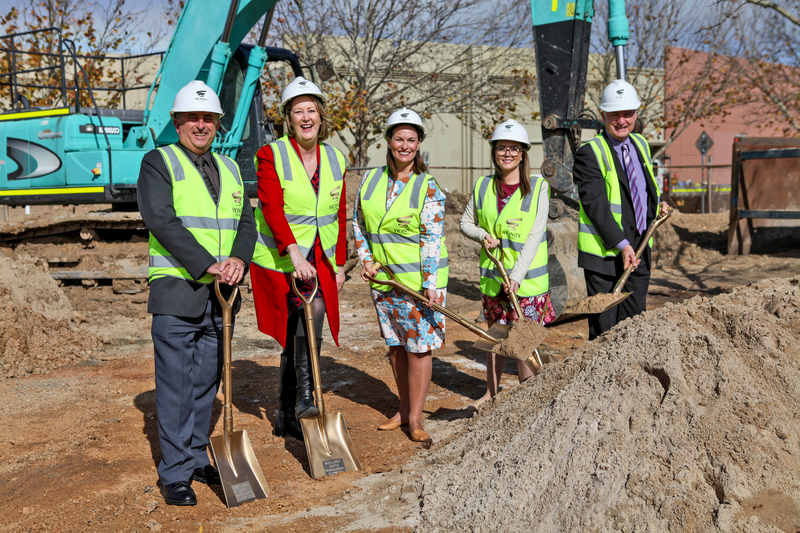 “For nearly 40 years, Midland Gate has been a central part of the local community and today we marked the start of construction, which is an exciting milestone for our team, our retailers and our customers,” she said. “This redevelopment will deliver greater choice and convenience for our loyal and new customers and will cement Midland Gate as the largest, every day shopping destination for the growing community in Perth’s expanding east. The shopping centre will include a new fresh food precinct, an expanded dining offer and 35 new specialty retailers in the 14,000 square metre expansion. Midland Gate will remain open while works are carried out.